Trade show exhibits are utilized by enterprises to reach out to a large a number of their target audiences in an effective and eye catching way. The exhibits generally serve their purpose pretty well in attracting a significant gathering around them, conveying the information of the company. However like any other visible thing on the planet exhibits too possess a limited life cycle and many firms deal with the problem of retiring their displays since it has pulled a significant amount of money from the company’s balance sheet when crafted. Trashing or recycling it declines the chances of gaining any monetary profit from your ‘‘used up’’ exhibit. So what could be the best possible way to earn a significant return from your old display? The answer to this critical question encircles around changing its ’Graphics’ and hunting for entities that can be approached as a potential buyer. Here are some suggestions which will help you in reaching such buyers. Refurbishment- The most important method by which you can an expect a significant return from your exhibit is its refurbishment according to the needs of your client whom you are expecting to approach as a buyer. Quality refurbishment of the exhibit according to the needs of the client will lead to a win-win proposition.However a point to be remembered here is that companies generally want to design a new booth according to their own specifications and even if your display closely matches their needs, the cost of refurbishment, changing finishes and colors and producing new graphics can quickly add to the cost. As a Hallway display– Official buildings have now started to use full displays, popups, truss displays, custom (hybrid) systems, banners, and kiosks that are decorative, professional, classy, and functional. As a Stand-alone – Basically used as brand reinforcement, these displays are often used to convey useful information in the building lobby which can be graphics walls, full exhibits, portable displays, and are sometimes lighted display boxes. Reception areas – Many offices now have reception areas that are using popups, popups, truss systems, and custom exhibits as a back-wall behind a reception desk. These are especially useful to divide the reception area (from the rest of the room or space) and make use of areas behind the display for office supplies, employee breaks, fax and copy areas etc. At the Airports– Exhibit parts and full displays – such as kiosks, counters, and advertisement displays – are being used everywhere in airport common areas and concourses. Car rental agencies, hotels, public and private transportation, and tourist destinations often enter into display agreements with the airport (port) authority to use exhibits in baggage claim areas and shopping areas. Malls and store displays – Malls and mall shops have discovered how to use exhibit features and full display systems for an assortment of purposes. Manned mall “kiosks” and shop displays are making use of trade show products for all sorts of purposes these days. 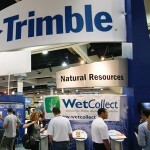 There are many various uses of trade show exhibits and accessories. The above mentioned suggestions points that there are potential buyers for your used trade show display and while you can earn profit from your used trade show display it will also lead to helping of the environment .